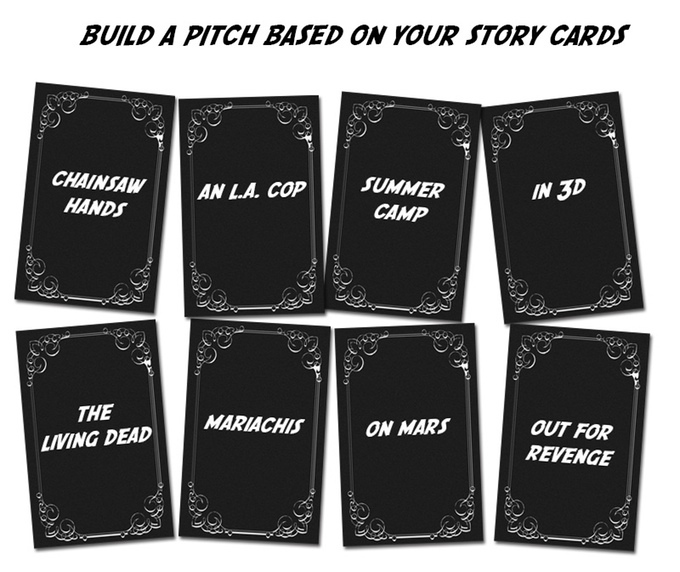 Cinema Of Attractions - Movie Pitch Party Game Hits Kickstarter - Are You Screening? Odd as it may seem, those of us who are really nutty cinephiles don’t have that many options when it comes to games. Sure, there are trivia options, but there is a surprising lack of effort when it comes to gamifying Hollywood. That’s why Cinelinx was such a welcome hit for me. Well, the folks behind that game have something new up their sleeves, and it’s on Kickstarter right now. 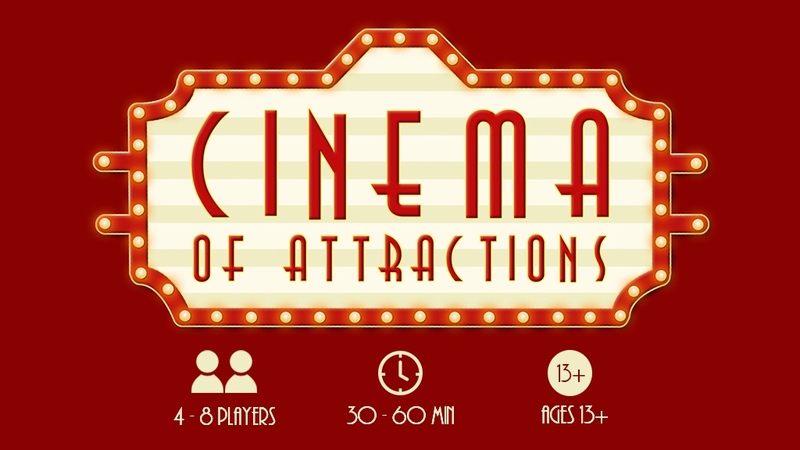 Cinema of Attractions puts a unique spin on trying to make a game out of movies, by putting you in the role of studio mogul… sort of. You’re trying to piece together the best idea for a new movie by using cards that have a wild variety of industry snippets. Take a look at some of what you’ll have to work with. So you’ve got “A Rom Com with a twist,” but maybe you don’t have much else to work with besides “Summer Camp,” and, “The Living Dead.” Well, that’s a twist alright. The campaign has a lot of backing levels with some great rewards, including a special expansion. Speaking of expansions, the game already has two expansion sets, one that focuses on real film buffs – with cards like “Breaking the Fourth Wall” – and a Red Band expansion. It’s already made about half of its goal, and as of this writing still has 22 days left. To be completely honest, games like this can be difficult when it comes to trying to get a solid vision of them. Party games in general often sound like a good idea, and a lot of us probably have several options sitting in a closet somewhere that were played once, but didn’t quite live up to expectations. This one really seems like a riot, and even if this isn’t something that immediately connects with you, you know someone who wants this as a gift. Head over to – https://www.kickstarter.com/projects/cinelinxmedia/cinema-of-attractions and get all the information before time runs out on your chance to earn those backing rewards. 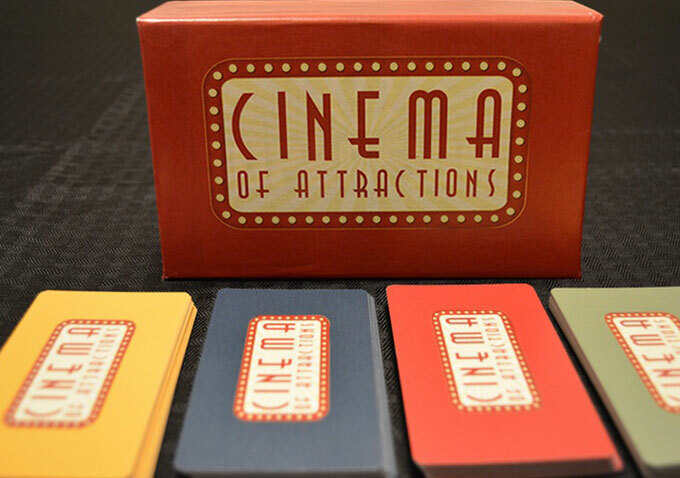 Cinema of Attractions is a satirical party game from the creators of the Cinelinx card game. In Cinema of Attractions, you play the role of a FILMMAKER pitching high concept films to a STUDIO in hopes of snagging the proverbial Green-Light. You’ll have to balance telling a great story without relying too much on spectacle if you want your idea greenlit. The idea is to come take a fun (and funny) look at how the film industry generates their movie ideas, but putting that power into the hands of our players. Not only can you make up your own story ideas, you’ll get the chance to grade and choose which movies (from your friends) get to go on and hit the “big screen”. It’s a blast and our many hours of playtesting have resulted in laugh out loud moments and plenty of wackiness. 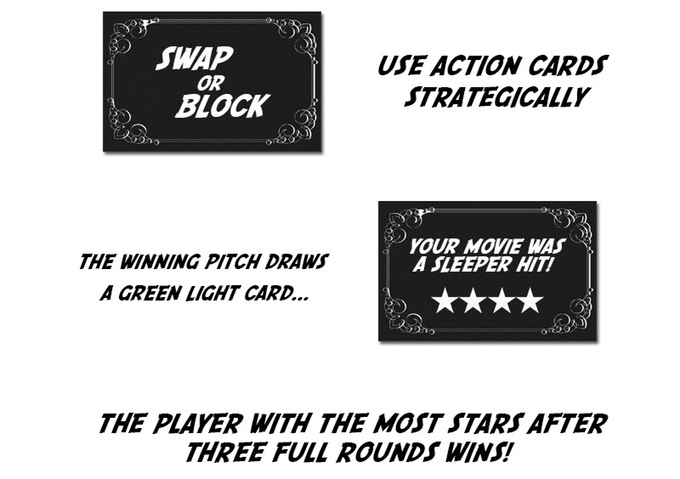 We’ve designed the game to be easily accessible to all kinds of players, so even if you’re not an avid movie enthusiast, it’s something you can quickly pick up and play with your friends, regardless of card game skill level (or movie knowledge). If you’re a more seasoned card game player, however, there are optional play methods available to dive deeper into the layers of strategy possible. Regardless of your level of skill when it comes to games, Cinema of Attractions is still exciting and enjoyable.